At Happy Faces Preschool and Childcare we are proud to provide delicious and nutritious home cooked meals prepared in our kitchen. The daily menu consists of fresh quality produce using premium ingredients which is tailored made to suit individual food restrictions. Our menus are regularly rotated to provide variety whilst also respecting cultures and cooking familiar dishes from family recipes. Our on-site qualified cook – Miss Mandy has been preparing children’s meals at Happy Faces for 21 years. Mandy has published her very own centre cookbook, due to the demand of families requesting her recipes. Mandy prepares fun, creative and nutritious meals which includes a large selection of fresh fruit and vegetables with morning tea / afternoon tea as well as dessert after a delicious hot lunch. A late afternoon snack is also provided at 5pm. Mandy loves nothing more than to involve the children in all aspects of her menu planning which includes planting and harvesting vegetables, fruits and herbs from our own garden to include in her meals. Her message is always clear…….”fresh is best” and that also includes the collection of eggs from our chickens. Right down to the home made dips, sauces and cakes, Mandy has a passion for cooking and a love for children. 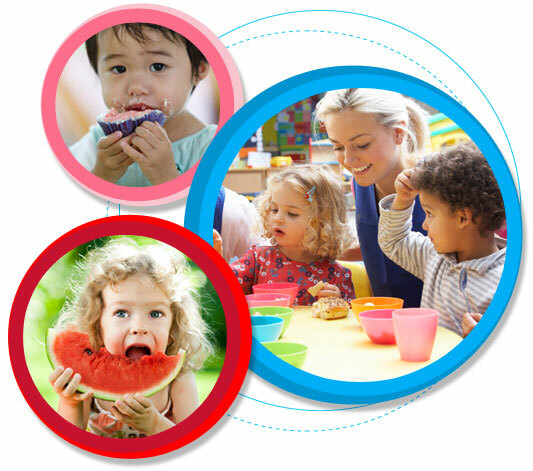 Meal times bring everyone together and we place great value on making these moments an enjoyable time for all children where healthy eating habits are encouraged.